It's a done deal. A UPS truck delivered more than 250 pounds of hemp seed to the Kentucky Department of Agriculture this afternoon. It took a lawsuit and a lot of political pressure on DEA head Michele Leonhart, but the agency has backed away from its initial refusal to allow the seeds to be imported. As the Associated Press reported this afternoon, the seeds arrived at the department's headquarters in Frankfort, the state capital. They had been being held hostage at a US Customs warehouse in Louisville after being imported from Italy. At the last minute, the DEA had refused to issue an import license for the seed, which was destined for research authorized under the omnibus farm bill passed earlier this year. 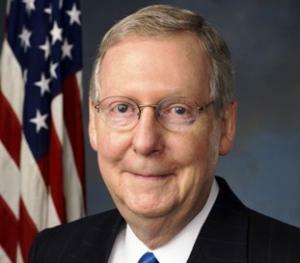 That prompted an intense and angry reaction from state officials, who promptly sued the DEA, the Justice Department, and Customs in federal court, and from Senate Minority Leader Mitch McConnell, who just happens to be from Kentucky. It's not clear exactly what went down, but after two Wednesday meetings, the DEA started singing a different tune. One meeting brought together lawyers for the federal government and the state of Kentucky before a federal judge; the other was face-to-face between McConnell and Leonhart. By the end of the day Wednesday, the DEA had backed down. The DEA just ain't getting no respect these days. Leonhart was recently chastised by her boss, Attorney General Eric Holder, over her remarks before Congress dissing the administration's moves to reduce the reliance on mandatory minimum sentencing, the Drug Policy Alliance is calling for her head, and drug expert Mark Kleiman is suggesting maybe it's time to disband the agency. Couldn't happen to a more deserving set of folks. Kentucky agricultural officials told the Associated Press Thursday evening that the DEA had approved a permit allowing the state to import a 250-lb shipment of hemp seed to be used for research purposes. The DEA had originally balked at issuing the permit, only to be hit with a firestorm of criticism, including sharp words from Senate Minority Leader Mitch McConnell, who just happens to be from Kentucky. Although the omnibus farm bill passed earlier this year included an amendment allowing for research into hemp in states that had authorized it, which Kentucky has, the seeds imported from Italy were held up at a US Customs warehouse in Louisville. Kentucky sued the DEA last week over the issue after the agency refused to issue a permit. But state Agriculture Commissioner James Comer said late Thursday that the seeds would be released Friday and that the hemp could be in the ground as early as this weekend. Officials had worried that the DEA's obstructionism would stall planting until it was too late in the season, a date they pegged at around June 1. "There was no sense to this," Comer said. "This is a historic day," he continued. "We've done something that no one thought we could do a year-and-a-half ago. 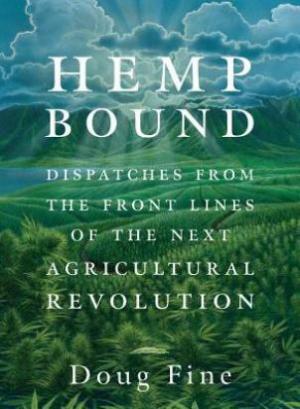 We legalized industrial hemp and we've proven that it's an agricultural crop and not a drug." A Justice Department spokeswoman told the AP that the DEA had indeed issued the permit Thursday. Justice, the DEA, and Customs were all named in the suit filed by the Kentucky Agriculture Department. Attorneys for the federal government and the state met with a federal judge Wednesday. But that wasn't the only meeting going on. Sen. McConnell sat down with DEA Administrator Michele Leonhart Wednesday to urge her to reconsider. "It was the intent of my provision in the farm bill to allow states' departments of agriculture and universities to explore the commercial use of industrial hemp as a means for job creation and economic development," McConnell said. Whether it was a federal judge or a powerful home-state political figure, or a combination of the two, somebody got the DEA's attention. Now, the agency is getting out of the way, and Kentucky can get down to the business of planting its first hemp crops in decades. After being misled by the DEA about whether it would release imported heed seed destined for the state's hemp research projects, the state of Kentucky is now suing the federal anti-drug agency, Agriculture Commissioner James Comer told The Huffington Post Wednesday. This comes just one day after Comer said the DEA told him the seeds would be released. "I hated to do that, but we've been misled and it's obviously a stall tactic," Comer told HuffPost. "We have farmers who wanna grow it. We have processors who wanna process it. We have researchers who wanna research it. We bought and paid for the seeds," Comer said. "Here in Kentucky there's a desperate need to find an alternative to tobacco." And the clock is ticking, with Mother Nature paying no attention to bureaucratic power plays. 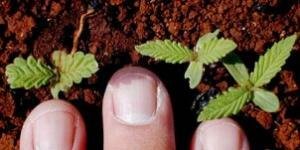 Hemp crops need to be in the ground this month for this year's season. Research on hemp is now legal for state agriculture departments and universities in states that have passed laws allowing for it. A groundbreaking amendment allowing for the research was approved as part of the omnibus farm bill signed into law earlier this year. And Kentucky ordered 250 pounds of Italian hemp seed to do research this year. But the DEA now says the state ag department must apply for a permit to import the seeds because they are a Schedule I controlled substance. That's a change of tune from the anti-drug agency. "We were told yesterday in multiple phone calls that we wouldn't have to do this Schedule I import permit," senior Kentucky ag official Holly Harris VonLuehrte told HuffPost. She noted that agreeing to the DEA demand would be an implicit acceptance of the DEA's position that hemp is in fact a Schedule I drug. "Industrial hemp is not a Schedule I controlled substance. 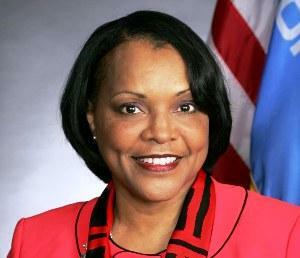 We're not going to execute a document that violates federal and state law," she said. The seeds are currently stuck in a US Customs warehouse in Louisville. Rep. Earl Blumenauer (D-OR), one of the sponsors of the hemp amendment to the farm bill, ridiculed the DEA's position. "I think I have a copy of the Congressional Record lying around my office that shows that Congress just debated this issue and voted overwhelmingly to allow research institutions to grow and study industrial hemp," Blumenauer told HuffPost. "I'd send it over to the DEA, but I'm worried they would classify it as rolling papers and seize it. With every move, the DEA is showing that they are incredibly out of touch with mainstream America. We need serious self-evaluation and shakeup over there if they ever want to be taken seriously." But the DEA may have managed to knock Kentucky's hemp research schedule back by a year. Colorado Bill Would Seal Past Marijuana Convictions. Marijuana convictions that predate current Colorado law could be sealed under a bipartisan proposal being floated inside the Capitol -- a move that could potentially impact thousands of Coloradans. The proposal, sponsored by Sens. Jessie Ulibarri (D-Westminster) and Vicki Marble (R-Fort Collins), allows anyone convicted of a marijuana offense that would now be legal under Amendment 64 to have their records sealed. Also, a draft of the bill says that a person convicted of "any other marijuana offense" beyond the scope of Amendment 64 would also be allowed to file a petition with a district attorney to have their record sealed. If the district attorney does not object, the court would then be required to seal the conviction record. Massachusetts Legislators Hear Legalization Bill. The Joint Committee on Judiciary held a well-attended and well-covered hearing on a marijuana legalization measure, House Bill 1632, Thursday. No vote was taken. Arkansas Medical Cannabis Act Initiative Goes Signature-Gathering. Hundreds of Arkansans volunteered over the weekend to collect signatures for the Arkansas Medical Cannabis Act in more than 50 locations across the state. They need to collect more than 62,000 valid voter signatures by July 7 to qualify for the November ballot. Florida Sheriffs to Fight Medical Marijuana Initiative. Florida law enforcement authorities are set to begin a public awareness campaign to fight the effort to legalize medicinal marijuana, a question that will be put to voters in November. This winter, the Florida Sheriff's Association sent sheriffs across the state an email asking for their support of a resolution opposing the legalization of marijuana. A vast majority of the 67 sheriffs was in favor of fighting against any effort to legalize pot. That's a shocker. Iowa Federal Marijuana Patients in Danger of Losing Access After Their Doctor Leaves the State. Two of the last remaining federal marijuana patients are facing a bleak future as a result of their physician relocating to another state. Patients Out of Time is issuing an urgent request for a Midwestern physician to come forward and help these individuals. No physicians in Iowa have stepped up so far. The patients, Barbara Douglass and George McMahon, are two of four remaining recipients of federal marijuana for medical purposes under the now defunct Compassionate IND program. For further information please call All Byrne of Patients Out of Time, (434) 263-4484, or email at [email protected]. Montana Medical Marijuana Supporters Protest at Businesses Owned By Sponsor of Proposed Anti-Marijuana Initiative. Supporters of medical marijuana protested outside two of the businesses co-owned by the sponsor of a proposed initiative that would make all marijuana illegal in Montana. About 100 people demonstrated outside Rimrock Subaru and Rimrock KIA in Billings on Saturday. Steve Zabawa, a partner with the Rimrock Auto Group, is sponsoring an initiative that would "eliminate the disparity between federal law and state law." The potential law would make any drug on Schedule One of the Federal Controlled Substances Act illegal in Montana. Pennsylvania Legislator and Parents of Sick Kids Plan Sit-In at Governor's Office. Sen. Daylin Leach (D-Montgomery County) and parents of sick children said Monday they have asked repeatedly to meet with Gov. Tom Corbett (R) to have a meaningful discussion about his opposition to a medical marijuana bill, Senate Bill 770. Now, after Corbett continues to stonewall their requests, Leach and family members said they will sit-in at Corbett's office until a meeting is scheduled. "If the governor chooses to forcibly remove sick children and the parents of those children, that is up to him. But we will not voluntarily leave until a meeting is scheduled," Leach said. Rhode Island Cops Want to Amend Medical Marijuana Law for "Public Safety" Reasons. Law enforcement officials are pushing to amend Rhode Island's medical marijuana law to address what they say are public safety problems, but patient advocates say the changes would jeopardize access to medicine. The attorney general's office and municipal police chiefs say some licensed cardholders are growing excess amounts of marijuana under a program with inadequate oversight and some caregivers and patients have become targets of home invasions. House Bill 7610, sponsored by Rep. Lisa Tomasso (D-Coventry), would reduce the number of plants patients could grow from 12 to three and add more oversight by the Department of Health. The bill had a hearing earlier this month in the House Judiciary Committee, but no vote was taken. Hawaii Hemp Bill Passes Legislature. Last week, Hawaii legislators approved a bill that will focus on the study of hemp as a biofuel feedstock and phytoremediation resource. The bill, House Bill 1700, authorizes the dean of the College of Tropical Agriculture and Human Resources at the University of Hawaii-Manoa to establish a two-year industrial hemp remediation and biofuel crop research program. It does have quite a few strict stipulations to prevent undesired consequences. 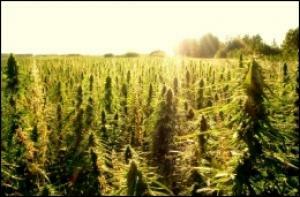 New York Hemp Bill Introduced. Growing industrial hemp for research purposes would be legal in New York under a bill proposed last week by a pair of Southern Tier lawmakers. An amendment to the federal farm bill this year allowed for hemp research programs in states that allow industrial hemp growth. The New York bill, Senate Bill 7047 is sponsored by Assemblywoman Donna Lupardo (D-Endwel), and Sen. Tom O'Mara (R-Big Flats). Big Congressional Drug War Hearings This Week. This week, both chambers of Congress will hold major hearings on the drug war. On Tuesday, April 29, at 10:00am there will be joint subcommittee hearing entitled "Confronting Transnational Drug Smuggling: An Assessment of Regional Partnerships," held by the House Foreign Affairs Subcommittee on the Western Hemisphere and the Committee on Transportation and Infrastructure's Subcommittee on Coast Guard and Maritime Transportation. These Committees will hear from General John F. Kelly, USMC Commander of Southern Command, at the Department of Defense, and Luis E. Arreaga Deputy Assistant Secretary, Bureau of International Narcotics and Law Enforcement Affairs, at the Department of State. On Wednesday, April 30, at 10:00am, the Senate Judiciary Committee will hold a hearing entitled, "Oversight of the Drug Enforcement Administration." The sole witness is the head of the Drug Enforcement Administration (DEA), Administrator Michele M. Leonhart. Click on the link for more details. Georgia Leaders Consider Expanding Drug Testing of Public Benefits Recipients. Gov. Nathan Deal (R) said Monday he was exploring a plan that would require drug tests those who apply for unemployment benefits, and would set aside funding for treatment programs if they fail. 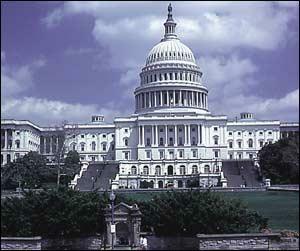 The move would require legislative approval in 2015 as well as signoff by the US Department of Labor. He also hinted he would sign House Bill 772, which would require drug testing for some food stamp recipients. He said he believes it strikes a "delicate balance" between helping the neediest and protecting taxpayer dollars, though he would not say definitively whether he would sign the measure into law. He has until Tuesday to decide. 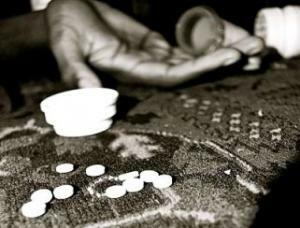 New Zealand Backpedals on Regulating Synthetics; Will Pull Drugs Off Shelves Until Proven Safe. 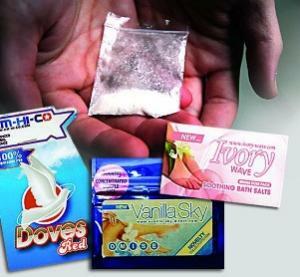 All synthetic drugs will be pulled off the shelves within two weeks until individual testing has proven each brand is "low-risk," the government has announced. Citing reports of severe adverse reactions and the government's inability to determine which of the regulated synthetics are causing them, Associate Health Minister Peter Dunne said he would introduce emergency legislation to remove the remaining 41 allowed synthetics from store shelves until they are tested. "I will bring to Parliament amending legislation to put this measure in place, to be introduced and passed through all stages under urgency on May 8 and come into force the day after receiving the Royal Assent," he said. Israeli MP Admits Regularly Smoking Marijuana. Meretz lawmaker Tamar Zandberg said she occasionally smokes marijuana, which is illegal, in an interview Friday. Zandberg is one of the most outspoken proponents of legalizing cannabis in the Knesset, together with MK Moshe Feiglin (Likud Beytenu), who says he has never used the drug. "Like everyone else, I smoke sometimes. I'm not a criminal and I'm not a delinquent," she said. Poppies Bloom in Egypt's Sinai. A sharp slump in tourism is rippling across the southern Sinai, where resorts catering to foreigners line the Red Sea coast, and as a result, Bedouins are turning to the opium poppy to make a living. The Christian Science Monitor has an in-depth report; just click on the link. Mexican Vigilantes Must Turn in Weapons By May 10. Mexican authorities and leaders of the self-defense groups who have been battling the Caballeros Templarios (Knights Templar) drug cartel in the western state of Michoacan for more than a year have signed an agreement spelling out the timetable for the militias to disarm. The self-defense groups must begin surrendering their guns, which include AK-47 and AR-15 assault rifles, on Monday and completely disarm by May 10, officials said. The militia leaders inked the disarmament deal Friday in a meeting at the headquarters of the 43rd Military Zone in Apatzingan, Michoacan, the largest city in the crime-ridden Tierra Caliente region. Brazil Marchers Demand Legalization. Brazilian police said about 2,000 people gathered in downtown Sao Paulo Saturday in a demonstration demanding the legalization of the production and sale of marijuana in Latin America's largest country. Several of the demonstrators were smoking marijuana cigarettes while carrying posters reading "Legalize Marijuana Now," and "Marijuana is Medicine." Police say the demonstration was peaceful. No arrests have been reported.